How To Capture Extreme Close-Ups! 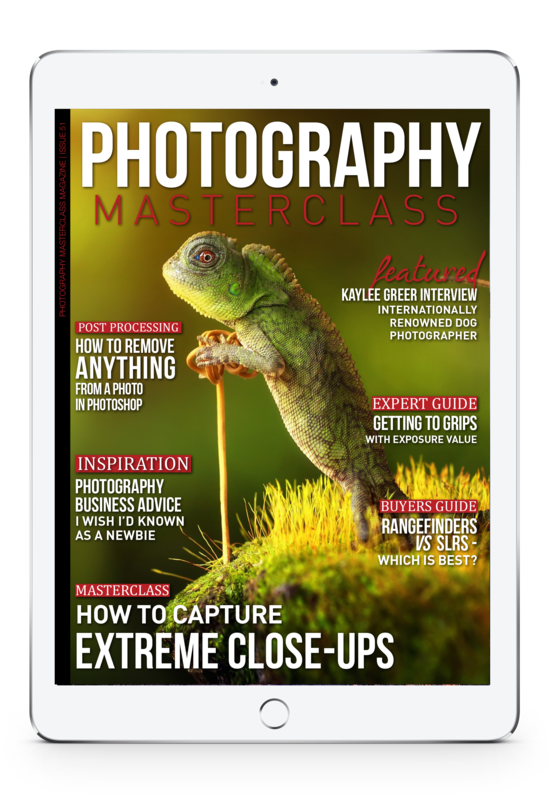 Learn How To Capture Extreme Close-Ups, In This Issue of Photography Masterclass Magazine! Close-up photography can bring a whole new world into perspective. The ordinary can become fascinating when photographed close-up. In this issue we show you how with a little effort and know-how, you can produce stunning close-up work of your own, and get some really unique and interesting shots! + Professional photographer, Jenna Martin, shares her hard earned photography business advice that she wishes she'd known as a newbie. + In our expert guide, we get to grips with what Exposure Value is, and how you can use it to its full advantage in your photography. + We speak to internationally renowned Dog Photographer, Kaylee Greer, about her unique photographic style which seems to capture the very souls of the dogs she photographs! + You'll learn how to remove anything from a photo in Photoshop in a great video tutorial. + We showcase an beautiful timelapse from Kai Gradert that showcases the predictability of the planetary system we live in. + We also have a look at Rangefinders Vs SLR cameras – and let you decide which one is best.